A new build 63 metre motor yacht, to be constructed by Italian yard Admiral, has been sold with Alex Banning at SuperYachtsMonaco introducing the buyer. Reportedly, the vastly experienced owner embarked on a tour of Northern and Southern European yards before settling on Admiral, a brand of the Italian Sea Group. 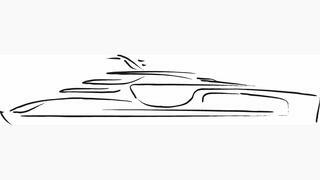 The new yacht will be built to Lloyds class under the management of Superyacht Technical Services, the owner’s representatives and SuperYachtsMonaco. Completion is scheduled for 2019. The Italian Sea Group’s Vice Chairman Francesco Carbone said he was "extremely satisfied" to have agreed the build for "such an immensely experienced and passionate yachtsman". "It has been a pleasure working with Alex Banning and the whole owner’s team and we look forward to the successful completion of another quality vessel,” he added. The new yacht will be built with a steel hull and aluminium superstructure and will accommodate up to 12 guests in six cabins. These will consist of a vast master suite and five dual-use VIP suites. The owner has stipulated that there must be no waste of space aboard, so all cabins can be configured as twins or doubles and all have en suite bathroom facilities. Twin Caterpillar diesel engines will give her a cruising speed of 14.5 knots.